This community-minded cafe offers fresh local produce and great coffee in a friendly, convivial atmosphere. The Coffee Collective is a funky cafe located in the heart of Wonthaggi. 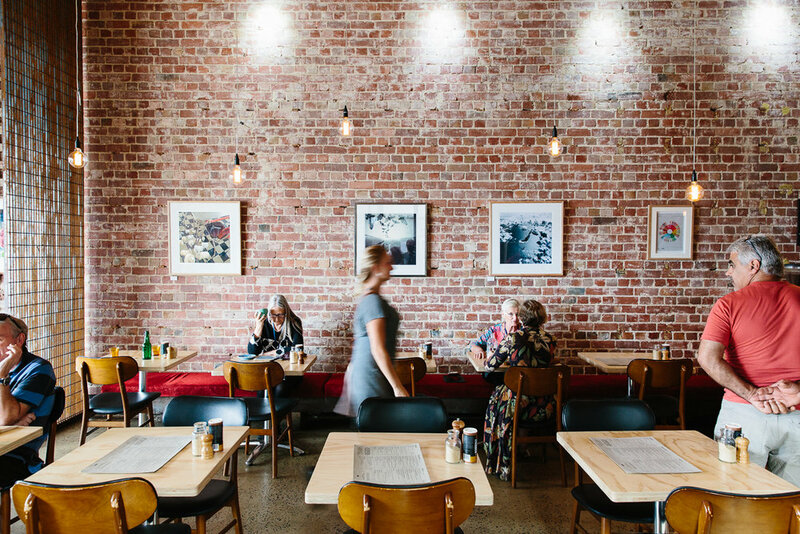 Styled with contemporary, industrial flair, with exposed brick walls, solid counters, polished concrete floors and enormous sliding grid mesh doors, the cafe is both modern and unpretentious, with a friendly, convivial atmosphere. The cafe serves Melbourne-quality coffee and offers balanced cafe-style dining with an emphasis on local, organic and sustainable produce. Creating a perfect coffee is what we are all about. Offering multiple Five Senses blends along with feature Single Origin beans to satisfy all coffee lovers. Hi Fidelity (Blend from Central & South America) - rich caramel & floral highlights with a velvety body. Crompton Road (Blend from India & Brazil) - rich chocolate, balanced with a heavy body. Single Origin & Limited Release- ever changing single origin beans sourced from the best coffee farms from all over the world. We feature these with our filtering methods. The focus is simple food, local, organic and sustainable. Nice, balanced, café-style choices that make the experience accessible to all. The menu features plenty of choices made with love by our resident kitchen team. 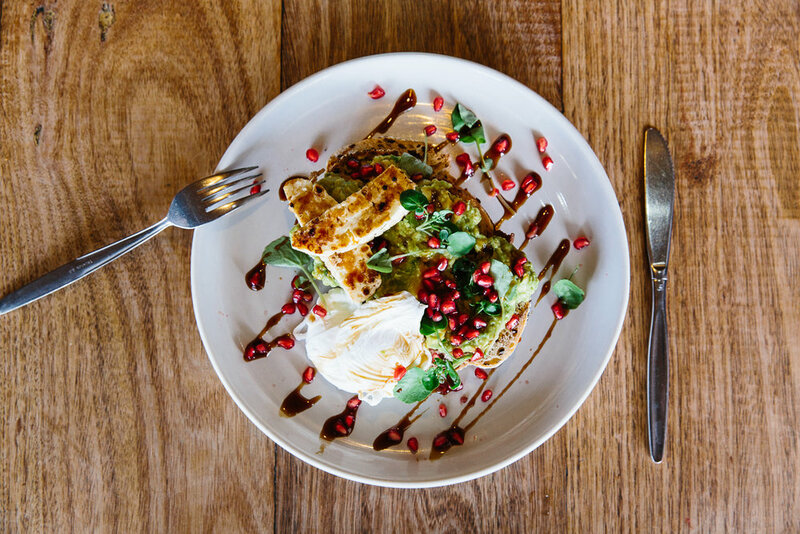 Unpretentious, appetisinng and appealing the menu changes seasonally and to take advantage of the freshest produce and in keeping with The Coffee Collective's modern approach to food. The Coffee Collective prides itself on using the best produce in a sustainable way. Free range chicken, local free range eggs, "Gippy' milk and Gippsland beef are the norm. We use recycled paper and packaging products including coffee cups, napkins, bags and takeaway containers. To further support the sustainable approach the business also participates in the "Responsible Cafe' program by offering discounts to customers using thier own cups - one of the first cafes in the region to do so. The waste disposal practises include recycling organic waste such as food scrapes, protein and vegetable matter. We recycle all our cardboard, plastics and glassware. We've also distributed over 2 tonnes of used coffee grounds to our local growers - a great composting material for gardens. English breakfast, earl grey, green, peppermint, chamomile or lemongrass & ginger. Balanced w/ chocolate flavours & heavy body. The Coffee Collective has an industrial yet warm atmosphere which suits small intimate gatherings through to large groups. The venue is fully licensed with a range of boutique local wines, cocktails and beer available. Enjoy substantial canapés and drinks with the relaxed feel of a "Grazing" themed menu. This option is designed to allow guests to mingle in a relaxed less formal stand up atmosphere. Perfect for Christmas and work functions and networking events. A seated dining option for the gourmet focused event. Our set menu options allow us to cater for your specific needs with a range of dishes available upon request (including special dietary requirments). Choose menu items which have been designed to highlight local produce using the best of quality ingredients. Perfect for family gatherings, birthdays and formal work events. Three courses - either canapés, main + dessert OR entree, main + dessert. To discuss your specific function needs please feel free to contact Ella on 0356 724 555 or send us an email via the contact page.